Marilyn Pozzuto is happy to be a part of Stephy’s Place. She was a children’s grief group facilitator at the Den for Grieving Kids in Greenwich, CT and became involved with the center after losing her husband Frank in 2010. Marilyn resided in Fairfield County for over 20 years and recently returned to New Jersey with her two teenage children. 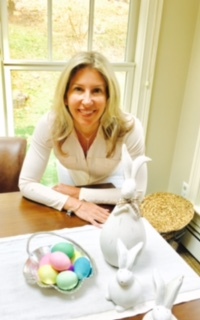 Marilyn is a Financial Advisor at Merrill Lynch in Red Bank and enjoys yoga, weight training and running.